Looking for a steeple contractor? Though beautiful testaments to the neighborhood, church steeples, towers, spires and finials are often neglected due to the unique problems they pose the average contractor. 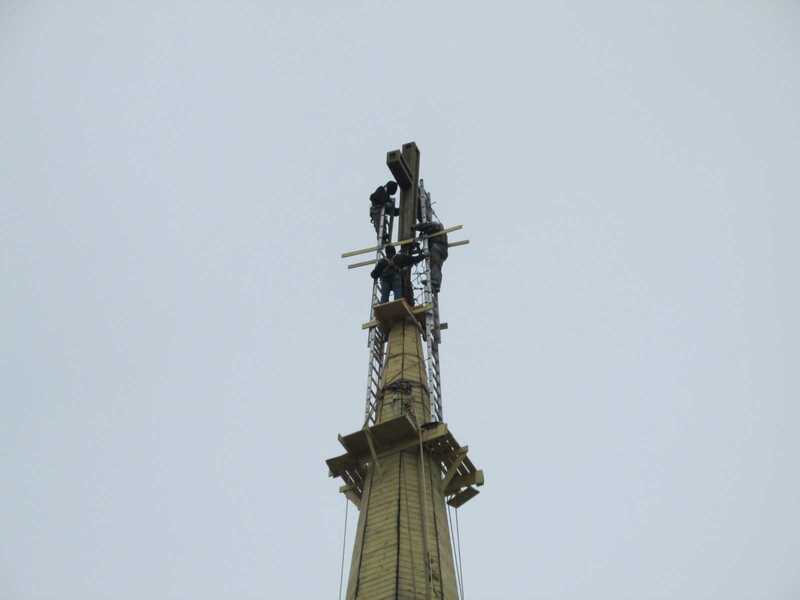 As a steeplejack contractor we're able to paint, roof and repair steeples with the hands-on approach of a steeplejack. 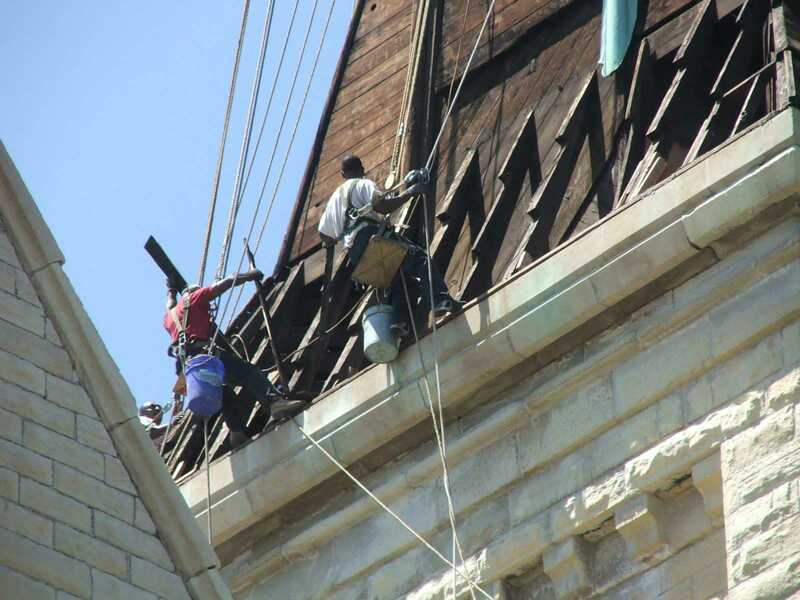 In addition, the steeplejack techniques we use on church steeples allow us to access them without the high cost associated with modern methods (cranes, scaffold, etc). Inspired Heights, keeping the cost down on church steeple repair. 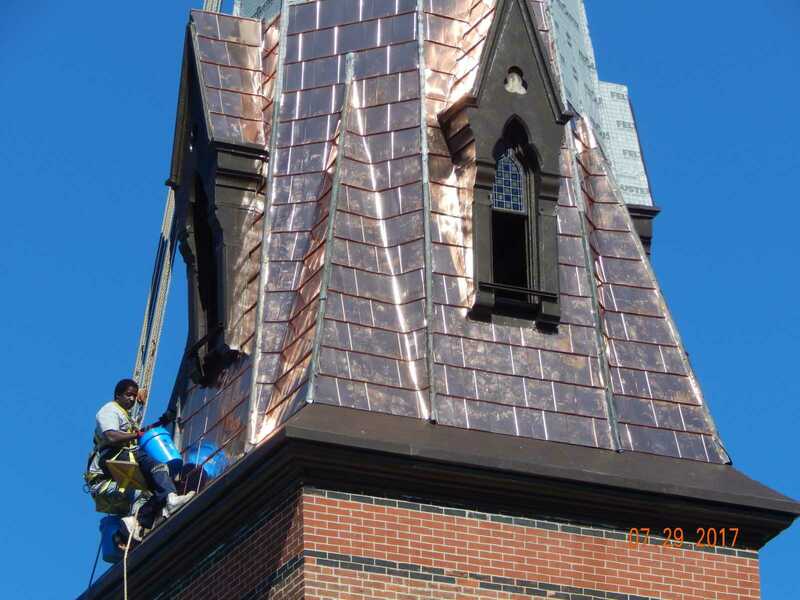 If you require a steeplejack company for your steeple repair project then you need the church steeple restoration experts of Inspired Heights. We're a steeplejack company that specializes in the unique needs associated with church steeple preservation. Inspired Heights are your church steeple repair professionals. Church steeples are what we do. Inspired Heights are located near Chicago and Milwaukee in the town of Rochelle but we provide our steeple repair services nationwide. Our steeplejack services include steeples, towers and church spires. 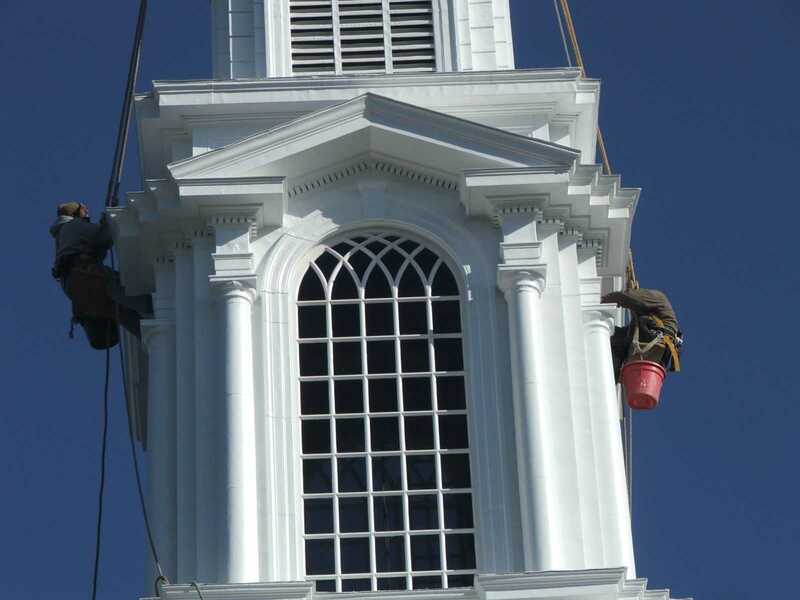 We are steeplejacks - steeple roofers, steeple painters and of course we perform steeple repairs. Our church steeple restorations are offered nationwide, including the following cities: New York, NY - Los Angeles, CA - Chicago, IL - Houston, TX - Philadelphia, PA - San Diego, CA - Detroit, MI - Dallas, TX - Phoenix, AZ - San Antonio, TX - San Jose, CA - Baltimore, MD - Indianapolis, IN - San Francisco, CA - Jacksonville, FL - Columbus, OH - Milwaukee, WI - Memphis, TN - Washington, DC - Boston, MA - Seattle, WA - St. Louis, MO - Atlanta, GA - Pittsburgh, PA - Minneapolis, MN - Miami, FL - Tampa, FL. So if you need steeple repairs in our local areas of Rockford, Chicago and Milwaukee give us a call. Looking for steeple restorations outside of the Chicago and Milwaukee area then we're still the steeple restoration contractor for you... Inspired Heights, a nationwide church steeple contractor.